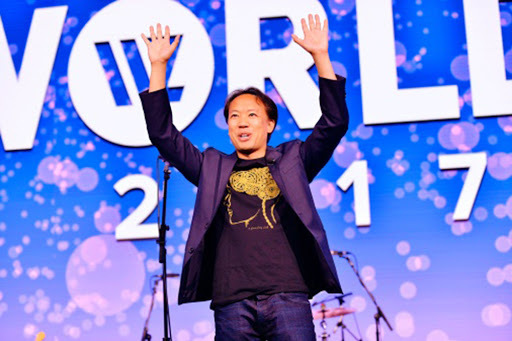 Jim Kwik, today a sought-after brain trainer for companies such as Nike and Zappos, started his life with a real challenge. At the age of five, Kwik tripped and fell at school while climbing a chair to look out the window to see a fire truck drive by. Kwik landed on a nearby radiator, injuring his head severely. He lost consciousness and woke up in hospital. His parents later told him how terrible the sight was, of seeing him lying unconscious on the floor with a pool of blood around his head. After the incident, Kwik became quiet, introverted and mentally slow. He could not read, concentrate, or understand his teachers, even when they repeated their words time and again. Kwik could never forget the time when one of his teachers pointed at him and said to someone beside her: “This is the boy with the broken brain”. The adults around Kwik had no idea how to help him regain his abilities. But fortunately, he says in a video on his website, he used to look at comic books at night under the covers with a flashlight , and slowly he taught himself how to read again. It took him three and a half years. His favourite comic books were the X-Men series, which tells of superheroes with supernormal powers. Deep in his heart, Kwik was convinced that, in spite of everything, he could possess such powers too. Kwik also tells us that, during his childhood, he spent whole weekends riding around on his bicycle, searching for the gifted Professor-X school in the X-Mansion, which according to his comic books was located somewhere in his neighborhood in Westchester, one of the suburbs of New York City. Years went by, but Kwik’s difficulties remained. When he was on the verge of quitting college, his roommate invited him to visit his parents’ house in California. During the visit, his friend’s father asked Kwik, “How’s school?” It was a perfectly ordinary question out of courtesy, but not for Kwik… He collapsed into tears and told of his difficulties and of his greatest fear – disappointing his family. In response, the friend’s father brought his index fingers together to the width of Kwik’s head, and said, “Jim, you are this close to realizing all your dreams.” He brought his fingers toward Jim until they were on either side of his head, implying that the potential was in his mind. Kwik returned home full of motivation. He was willing to do anything. He committed himself to reading books in addition to his schoolwork, and he would spend all his free time at the library. He stopped seeing friends, he didn’t exercise, he barely slept or ate, and his physical condition deteriorated. One evening, as he was going down a flight of stairs in the library, he passed out and rolled down the stairs, hitting his head again. Two days later, Kwik woke up in the hospital bed, exhausted and in pain. Barely 20 years old, he felt as though he had completely wasted away his mental and physical strength and was about to die. Still, when Kwik woke up this time in the hospital bed, he says another part of him woke up, saying, “There has to be a way to fix this.” And as soon as he had that thought, the universe responded – the nurse came in with a mug of tea, and on it was a picture of Albert Einstein with a quote: “The same level of thinking that’s created your problem will not solve your problem”. This made him ask himself another question: What’s my problem? And he said to himself, “My problem is I have a very slow brain, I’m a very slow learner; maybe I can learn how to learn faster”. So he asked himself, where do I go to learn? This question was new to Kwik, since all the classes at school were on what to learn, but there were no classes on how to learn. 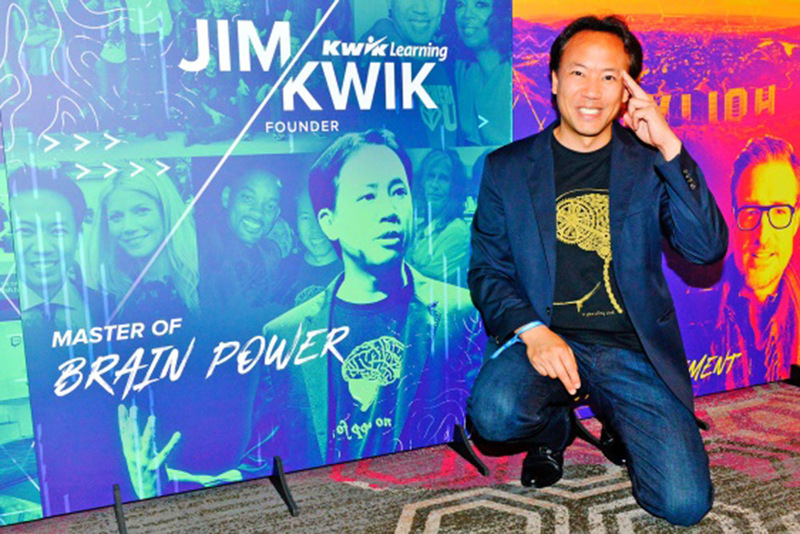 As such, instead of asking himself how to learn harder, Kwik started looking for ways to learn how the brain and memory worked, so that he could train his brain to learn faster. The knowledge he found was fascinating. He began to see results that increased his determination, and he started to regain his confidence. Kwik quickly realised that he was not the only one who suffered from this problem. So he began teaching his friends and helped people around him who also faced learning difficulties. Twenty years later, Kwik, who used to be slow and introverted, stands fearlessly in front of a huge audience and passionately teaches them, as he puts it, “how to be superheroes”. The key to change, according to Kwik, are our emotions while we study. After being injured as a child and losing his abilities, Kwik got into a state of anxiety and frustration. But when they are in a natural state, small children learn faster than any other creature on this planet. Children do not think about learning and achievements, they just want to play. During play, apart from feelings of pleasure and curiosity, something else happens that contributes to learning – the participants forget about anything that is not part of the game. In addition, Kwik explains, memories are not “preserved”, they are created as new knowledge. The more questions you ask, and the more you use your imagination, thinking, and emotions, the more effectively the memory will be created. After one of Kwik’s workshops, a member of the audience hooked him up with the CEO of 20th Century Fox. Kwik found himself at the studio’s offices one morning, surrounded by posters of the superheroes of his childhood, the X-Men, and this was where he delivered one of his workshops. When the studio’s CEO realised how enthusiastic Kwik was about superheroes, he arranged for him an unforgettable meeting with the X-Men actors on the set of the last film in the X-Men series. The first scene he saw there took place at the same legendary school he looked for as a child. Today, in every lecture that Kwik delivers, he shares about his childhood trauma and the transformation he went through. “A superhero for me is somebody who is on the path to discovering and developing their superpowers,” Kwik says to his audience. “And the world needs you to find your superpowers and let them shine”.